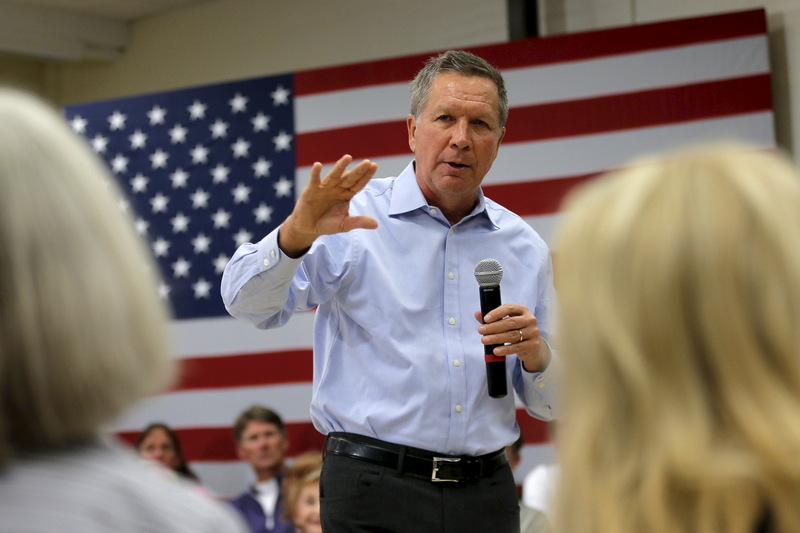 A super PAC aligned with Ohio governor and Republican presidential candidate John Kasich is ratcheting up its war of words with GOP front runner Donald Trump's campaign, responding to a letter written by Alan Garten, Trump's lawyer. Garten had written a letter on November 19 to New Day For America threatening legal action when it emerged that the super PAC was going to target Trump with negative advertisements. On Wednesday, it responded with a letter from the group's own counsel. "Our client, New Day For America, was surprised to receive your November 19, 2015 letter titled "Anti-Trump Advertisements," the letter reads. "As you can see, the advertisement produced by New Day For America simply uses Mr. Trump's own statements to question his fitness to serve as commander in chief." The super PAC also implied that it was illegal for Garten to be sending the letter in the first place. "Moreover, with limited exceptions that are not applicable here, because The Trump Organization as a corporation is prohibited under federal election laws from contributing or coordinating with Mr. Trump's campaign, we were surprised to see that the letter came from you, as General Counsel to The Trump Organization rather than from Mr. Trump's campaign counsel," the letter says. "See 52 U.S.C. 30118. As you are probably aware, violates of the Federal Election Campaign Act can be subject to both civil and criminal penalties." Trump and Kasich have been warring in recent weeks. Yesterday, Kasich's campaign issued a statement referring to Trump as a "grump." Earlier this week, Kasich released an ad targeting Trump titled "Is he worthy?" It focused on a recent controversy surrounding Trump, when he seemingly mocked a New York Times reporter, Serge Kovaleski at a rally in Myrtle Beach, South Carolina. Trump has called Kasich "one of the worst presidential candidates in history."